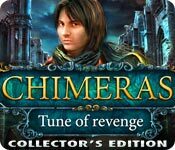 Chimeras: Tune of Revenge Collector's Edition is rated 4.7 out of 5 by 123. Rated 5 out of 5 by sunnilynne from So Much Fun! Way much better than Chimeras: Mark Of Death --don't get that one. Not even the same game type. This one is FABULOUS!! Lots of great games! Not too impossible too solve, but they will take time. GREAT story line. Easy navigation, nice map. Very nice graphics. I really enjoyed this game. I purchased this game because of the reviews on it, lol, so i figured i'd write one myself. This is the first one i've written. I hope you enjoy this game as much as I did. Madame Fate is wonderful, too. Great puzzles. Rated 5 out of 5 by tlc_936 from Don't Skip This Game! I loved this game!! I found this game a breath of fresh air after playing so many mediocre games. The CE is definitely a game worth having in your collection. The artwork and audio was so great that I didn't want to stop playing the game for a second. Collecting the pets was a nice change of pace instead of collecting morphing objects. The cards for the vengeful demons were a nice change of pace also. I love games that have the map that you can use to quickly get to different areas, which this one did. The extras in this game were also great. They allow you to play the minigames over whenever you want along with other minigames. Rated 5 out of 5 by AforAllie from Loved it Elephant Games proves again why they are the best. The graphics are awesome, the hidden objects are beautiful. The storyline is exciting and engaging. It's a little spooky, and all the artwork is gorgeous. A fun game, and the bonus chapter adds to the story. Rated 5 out of 5 by moneyhoneyy from Great game This was an amazing adventure. Great music and visual quality. But the past part of this game is its storyline. Masterpiece! Rated 5 out of 5 by sapoe from love it! thank you Elephant! everything in this game, I really love it! the gameplay, the storyline, of course the visual & sound quality and the most important factor, FUN! this game it's really fun for me. good job Elephant! I hope there will be another series for this one. Rated 5 out of 5 by mspaws from Forgot about the extras Game kept my interest with the storyline being so interactive that I forgot about the collection of animals. 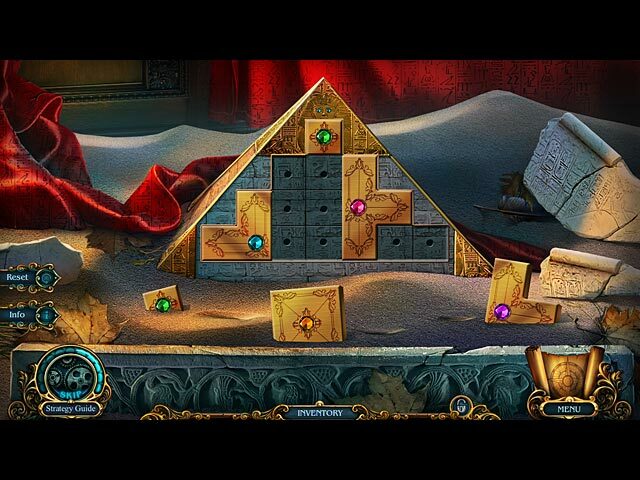 Hidden object scenes, puzzles, finding the items to interact with were all not mind blogging. If you like a semi relaxing game this is it. Not frustrating. I didn't care much for the "extra" game time for CE and didn't complete it. I played this game over several days, so I would say it took me about 4-5 hours to complete, not including the added bonus game. Rated 5 out of 5 by megwoman25 from Excellent Game!! This is the first time in a longggg, longggg time that I've started a game and finished it in the same session. Once I started this, I simply could not stop. The storyline was great at first, got a little weird near the ending but overall was really good. The bonus chapter is not needed for a satisfactory ending of this game but it does show what happens after the fact and how you save the town. It took me about an hour. The entire game took me 5 hours and it was so incredibly fun and interactive. The mini games/puzzles were quite easy but it didn't faze me because the overall feeling of this game especially the amazing voiceovers and soundtrack really give this game a WOW factor that I have not experienced for quite sometime. 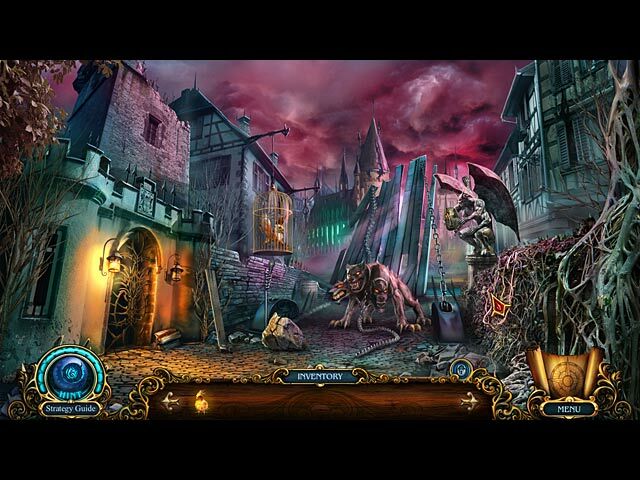 The hidden object scenes were interactive. Elephant games has collectibles in this one. 10 pets to find and they go into the bonus chapter as well. I found all of them. This game surprised me because it had no journal and no achievements and I found myself really enjoying that as I never use the journal anyways AND it was nice to play a game without popups coming up all the time for "getting 3 objects in 3 seconds" etc etc. The bonus section features the pets you find, the cursed cards, wallpaper, soundtrack, PUZZLES! which were so fun. 9 of them, a bonus chapter and another mini game which was really just playing music on the organ grinder itself. For once, I never got bored, never lost interest. Since I kept on going, I never got lost. You can change your difficulty level in the options menu. The map is very useful and is a jumper which is nice because there are a lot of locations you need to go back to. I just had an overall feeling of happiness playing this game although the story isn't really all that happy until the end. Its all about revenge and how love can make you into a better person. After all....an eye for an eye makes the whole world blind. I definitely recommend this game. 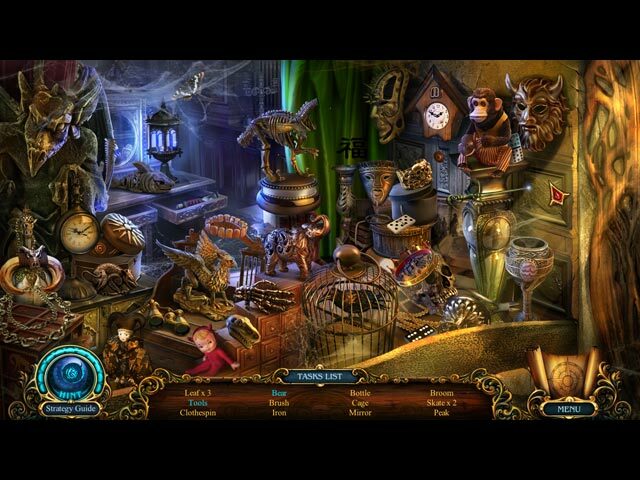 I found it creative, fun, genius, a great storyline that is different from most!, lots of interactive areas, lots of tasks to do and the bonus chapter is very good too not just a bunch of hidden object scenes thrown together like some! well thought out! A definite game of the year contender!!! Rated 5 out of 5 by addyrock from Favorite game i have ever played!!! The story line was great! Mini games were a blast! very challenging but fun! Loved the music! by far one of the best HOS games i have played!